An upcoming Saurashtra cricketer banned for one year by the IPL governing council for negotiating with other franchises hit the fifth season of IPL with a bang after some successful performance for team Indian and Kochi Tuskers and that is all-rounder Ravindra Jadeja. The young all-rounder was signed by Chennai super kings for a whopping $2 million after beating Deccan chargers in a secret tie breaker. The big hitter, left arm spinner and an excellent fielder was a hot cake on sale in the auction, but has he lived up to the price is still debatable. With CSK is at the brink of getting knocked out depending on the results of the last few matches , the scanner is on to look for the worth of a player for teams success and failure. A big team like CSK, when crashes out a lot of finger would be pointed out. The left-hander could not replicate the batting success which he achieved with the Kochi Tuskers. 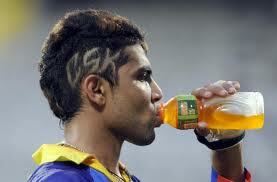 Marred by batting failures, CSK looked up to their all-rounders but the willow of R Jadeja was not on song. The batsman has managed to score only 190 runs at an average of 17 from 16 innings. The average could be misleading considering his position in the batting line up but the big hitting was definitely missing. He also failed to live up to the expectation of being a strike bowler who managed to pick only 11 wickets from 16 matches at an average of 23.45 and a poor economy rate of 7.81. Though, he managed a 5 wicket haul with the Deccan chargers, only 6 wickets were taken in other 15 matches. Overall it seems to be an ordinary performance from the all-rounder and does not seem to be worthy of $2 million.